Today, it’s become a symbol for the fleeting movement of time – for the present state we’re in, that lies somewhere between the past and the future. (You’ll also notice an hourglass when you’re waiting for something to load on your computer… but that’s somewhat less romantic). Authentic Models have created a collection of hourglasses that serve to remind you of the passing nature of time. 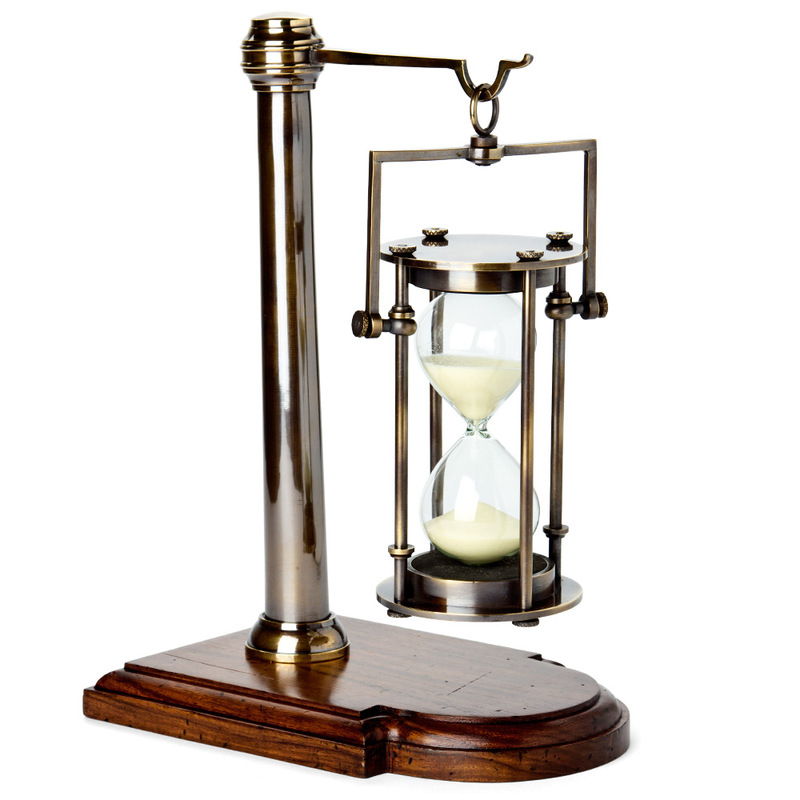 Made from brass, glass and wood, each hourglass makes time look beautiful, standing elegantly on your mantel or desk. Made from brass and glass with a wooden base. Includes a hanging hourglass on a stand that can be removed. Measures up to 30 minutes. Dimensions (including stand) : 18.5 x 13 x 25.5cm.